The danger that criminal defamation laws pose to press freedom is well-established. But while civil defamation laws can serve as a legitimate alternative to defending a reputation in court, their abuse can constitute an equally serious threat. This abuse often takes the form of exorbitant claims for damages that would spell ruin for even the wealthiest media corporations. Notably, courts do not always observe the principle of proportionality – i.e., the principle that the amount of compensation should reflect the actual degree of damage – or consider the potential for excessive compensation to cast a chilling effect on individual media houses or the press at large. Indeed, with the media industry already facing great economic challenges, for some plaintiffs the purpose of filing lawsuits may not be to actually go to court and collect damages, but simply to force defendants who fear the financial consequences into silences. 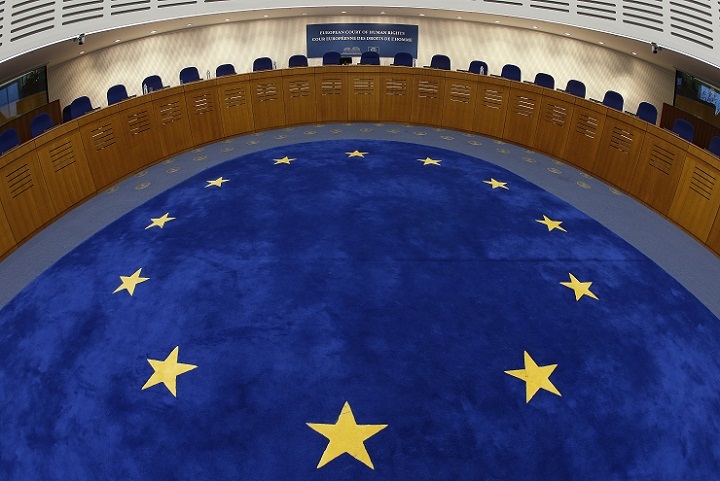 As part of its research into the use of defamation laws to silence the press in Europe, the International Press Institute (IPI), with the assistance of country-based legal experts, has conducted research on compensation levels for civil defamation cases in selected European countries, with a focus on Central and Southeastern Europe. These findings help both to understand the degree of threat faced in individual countries and to ascertain, via cross-border comparison, national trends that fall outside the European mainstream. Visit IPI’s Media Law Database for more in-depth information on criminal and civil defamation laws in Europe. For Poland, 19 civil defamation cases involving the media between 2012 and 2016 considered representative of current trends were collected and analysed on behalf of IPI. Financial compensation was awarded at final judgment in 12 of these cases with an average award of approximately €12,800 (the publication of an apology was also ordered in several of these cases, and compensation was also awarded in a 13th case that was not yet final at the time of research). An apology was ordered as the sole remedy in three of the remaining cases; and an apology plus the deletion of offending images in a fourth. In two cases, an appeals court found no violation of reputation upon review. Between 2010 to 2012, there was a general trend among courts to award high compensation in defamation cases, especially if the plaintiff was a “famous” person and the violation was committed by a tabloid. In a judgment from October 2011, a court awarded a Polish millionaire and his wife 200,000 PLN (approx. €50,000), and stated that the plaintiffs’ prestige justified the large sum. The court stressed that the higher a plaintiff’s prestige, the higher the compensation. Today, however, compensation amounting to €50,000 is relatively rare. In cases, involving local press, compensation awarded is much smaller, and usually would not exceed the equivalent of €5,000. In many cases, courts consider the publication of an apology satisfactory and do not order financial compensation. A similar trend can be seen when the impugned media outlet is a serious publication, especially when the plaintiff is a politician. Information for Poland was compiled in cooperation with Dominika Bychawska-Siniarska, human rights lawyer at the Warsaw-based Helsinki Foundation for Human Rights. More extensive information on civil defamation in Poland can be found can be found on IPI’s Media Law Database. In terms of assessing the amount of damages in civil defamation cases, Art. 136 of the Czech Republic’s Civil Procedure Act allows courts to award an amount based on their consideration of the case. Czech law contains standards of the amount of compensation that can be awarded in cases of damage to health and life, but no so such standards exist for damage to reputation and other personality rights. Judges do not compare amounts awarded in personality rights cases with those awarded in other types, such as right-to-life cases. Attempts to do so in the past were unsuccessful. Prior to 2014, and especially in the years 2011 and 2012, Czech courts, including the Constitutional Court, awarded huge amounts in damages – up to 1 million CZK (approx. €38,000) – for infringement of rights by tabloid media in particular. These rulings, however, are exceptional, and in general free expression is well-protected. Politicians in particular do not receive such high compensation. Since 2014, when the new Civil Code and the new Civil Procedure Code took effect, the newly established district courts typically do not award compensation greater than 100,000 CZK (approx. €3,800). That being said, case law is not fully built, as appeals are still pending and there is no public database of decisions issued by lower courts. For the purposes of this research, 15 civil defamation cases involving the media between 2010 and 2016 considered representative of trends were collected. The average amount of compensation awarded was 249,000 CZK (€9,000). Two judgments awarded compensation of 1,000,000 CZK or more. Information for the Czech Republic was compiled in cooperation with JUDr. Eva Ondřejová, LL.M., Ph.D. More extensive information on civil defamation in the Czech Republic can be found on IPI’s Media Law Database. For the purposes of the IPI report “Civil Defamation and Media Freedom in Hungary”, 250 court decisions were reviewed and analysed. The analysis revealed the average amounts of non-pecuniary damages awarded in various types of defamation-related cases. Hungarian case law with regards to the personality rights of “other public figures” appears to be more uniform and streamlined. Public figures in this broader scope must tolerate the media’s interest in reporting on public affairs, but public figures also have the right to require that the media respect the details of their private lives. In these types of cases, the courts tend to make higher awards for non-pecuniary damages/restitution, generally between 500,000 and 3,000,000 HUF. Information for Hungary was compiled in cooperation with Hungarian media lawyer Bea Bodrogi. More extensive information on civil defamation in Hungary can be found in IPI’s March 2017 report “Civil Defamation and Media Freedom in Hungary”. In 2011, the civil association VIA IURIS carried out an analysis called “Freedom of expression and actions for the protection of reputation”. At that time, many public officials (such as politicians and judges) frequently sued media outlets for publishing defamatory content that caused damage to their reputation. VIA IURIS observed that courts provided such plaintiffs with excessive protection and awarded them much higher financial compensation than common citizens. National legislation set no limit on financial compensation and no criteria for courts in determining adequate compensation. Notably, the Constitutional Court, in its ruling no. I. ÚS 408/2010, referred to the case law of the ECtHR, according to which compensation for non-pecuniary damage must be reasonably adequate to the damage the reputation of the victim suffered (e.g., Tolstoy Miloslavsky v. the United Kingdom), and courts must base the amount of compensation on evidence indicating the intensity of the damage (e.g. Flux v. Moldova, Steel and Morris v. the United Kingdom). The Constitutional Court also underscored the need for courts in defamation cases to take into account the amount of compensation awarded for physical injuries or for the damage suffered by the victims of violent acts. For the purposes of this research, nearly a dozen civil defamation cases involving the media between 2011 and 2016 indicative of trends were selected and analysed. Compensation awarded in the majority of these cases was €10,000 or below. A significant exception – at nearly five times the next-highest award – is a €99,582 judgment awarded in 2011 by the District Court of Trebišov upon remand by the Regional Court of Košice. The award was made to a businessman who had sued the broadcaster TV Markíza for alleging that the businessman had taken part in bankruptcy fraud. Information for Slovakia was compiled in cooperation with the civil association VIA IURIS. More extensive information on civil defamation in Slovakia can be found in IPI’s June 2017 analysis “Damages in civil defamation cases in Slovakia: Analysis and trends”. As part of IPI’s overall analysis, researchers at the Belgrade-based SHARE Foundation conducted an analysis of recent civil defamation cases with a media defendant in Slovenia, Croatia, Serbia, Montenegro, FYROM/Macedonia, Bulgaria and Albania. The research aimed primarily at determining average amounts of compensation awarded in such cases. Findings per country are detailed below. 17 decisions were analysed based on case information provided by the OSCE Mission to Albania and the NGO Respublica. The average amount in civil damages awarded was 664,470 ALL, or approximately €4,932. The highest award was 3 million ALL (€22,200). 10 decisions between 2012 and 2017 were examined. The average financial award was 19,950 BGN, or approximately €10,174. There was a fairly large spectrum regarding the amounts awarded. Relatively high amounts for the Bulgarian context were awarded in several cases involving tabloid media. For instance, in 2013 a court ordered the tabloid Weekend to pay 50,000 BGN (€25,000) to Vesselin Pengezov, chariman of the Sofia Court of Appeal, over a story calling Pengezov a “judge of the mafia” and insinuating that he was involved in corruption. Researchers examined 11 decisions, all final in law, handed down between 2011 and 2015. The average amount of compensation awarded was 38,000 HRK, or approximately €5,096. The highest award was 75,000 HRK (€10,059). Information and sources were provided upon request by law offices in Zagreb, Croatia. Nine civil defamation cases decided between 2012 and 2016 were analysed. A publishing house was the defendant in all cases. The average award was €1,833.33, while the two highest awards were €5,000. Cases were provided upon request by law offices in Podgorica, Montenegro and via search on the Montenegrin court database. Fourteen civil defamation cases involving the media decided by the Court of Appeals of Belgrade (all final in law) between 2014 and 2017 were reviewed. The average amount of compensation awarded by the court was 135,714 RSD, or approximately €1,094. The highest award was 300,000 RSD (€2,419). In nearly all cases a media publisher was the defendant. Cases were obtained upon request from law offices in Belgrade. The analysis looked at 10 civil defamation decisions from the Supreme Court of Slovenia, the High Court in Ljubljana and the High Court in Maribor. All but one are final in law. The average compensation awarded to plaintiffs was €5,767. The highest damage award was €15,000. Information and sources were provided upon request by law offices in Ljubljana, Slovenia. Macedonia’s Law on Civil Liability for Insult and Defamation, adopted in 2012, establishes caps on compensation for non-pecuniary damage for defamation and insult committed by a journalist or media house during the exercise of the journalistic profession. The caps are €2,000 for journalist defendants; €10,000 for editors; and €15,000 for the legal entity. Experts in Macedonia in general report high success rates for media defendants in civil defamation trials. Dejan Georgievski of the Skopje-based Media Development Center, which provides legal assistance to journalists and media outlets, noted that his group has seen a success rate of 90 percent. There is therefore little data available on damage amounts. Three cases, provided by a human rights law office in Skopje, resulted in damage awards of 10,000 MKD (€162), 20,000 MKD (€321), and 240,000 MKD (€3,900). Austria is one of two EU states that impose strict limits on non-pecuniary damage in defamation cases. Austria’s Media Act limits such compensation to €20,000 generally. For defamatory media content that results in particularly severe consequences, the maximum is €50,000. The Media Act requires courts to take into account the scope and consequences of the defamatory publication as well as the survival of the media outlet in question when determining the amount of compensation. Belgian law does not establish limits or contain precise guidelines with regards to awarding non-pecuniary (moral) damages in civil defamation cases. In many cases, moral damages are awarded in symbolic amounts, i.e., €1, only. Compensation between €1,250 and €3,000 is not uncommon. A review of cases also shows compensation awards of €6,000, €10,000, €12,600 and €17,402. The highest amount ever awarded by a Belgian court is €600,000, in a case involving a newspaper that printed false allegations of doping on the part of the director of a cycling team (Court of First Instance of Brussels, 15 October 2009). Information provided with the expertise of Dirk Voorhoof, Em. Professor at the Law Faculty of Ghent University, Belgium. Civil defamation cases in Estonia are brought under the Law of Obligations Act. However, the number of court cases brought per year is small. The Supreme Court tends to see less than a case a year. In Estonia, defamation suits have generally not been a tool that politicians have used to respond to media criticism. For cases that do reach court, the amounts of damages tend to be small. The amount of compensation is at the discretion of the courts , but the Supreme Court has stated that was is a reasonable amount should be decided by taking into all relevant aspects of the case, such as the nature and seriousness of the infringement, the behaviour of the parties, and the parties’ financial situation. In one case where the Supreme Court stressed this method of determining the amount, the sum of damages awarded was approximately €3,195 . Recent cases that have reached the Supreme Court have seen damages in the amount of €640 and €10,500 (the latter involved a plaintiff who claimed that a particular book contained false and damaging information; as the Supreme Court sent the case back to the lower courts, the ultimate sum is not known). Information provided with the expertise of Katrin Nyman-Metclaf, Head of Research at the Estonian e-Governance Academy and the Head of the Chair of Law and Technology at Tallinn Law School, which forms part of Tallinn University of Technology. In Finland, in order to receive compensation as part of a defamation claim, the claim must be presented in accordance with criminal proceedings. Strictly speaking, therefore, there are no “civil defamation” cases in Finland. In addition to non-pecuniary damages, courts may order the payment of a fine, with imprisonment possible in extreme cases. Fines for defamation usually range between 20-35 units, with each unit corresponding to one daily net income of the defendant. The amount of compensation for non-pecuniary harm usually falls between €800 and €2,000, with higher amounts possible in particularly severe cases of damage to reputation. In determining amounts courts take into account the size of the audience reached and the extent to which the public is already familiar with the content of the defamatory publication. Information provided with the expertise of Mikko Hoikka, CEO, Finnish Periodical Publishers’ Association. Malta’s Press Act currently caps compensation for non-pecuniary damage at €11,646.87. However, the Maltese government, as part of a reform package that would see the repeal of the country’s criminal libel laws, has announced plans to increase the maximum amount to €20,000. The maximum amount is planned to be lower in cases in which the journalist apologises but the plaintiff continues to pursue legal action. A dossier prepared by the Portuguese Supreme Court and provided to IPI provides concrete data on compensation upheld by the Supreme Court in personality rights cases (i.e., defamation and right-to-likeness cases) involving journalists and/or media outlets. The most detailed data is available for the years 2012 to 2014. During this period, the Supreme Court considered 13 appeals. In four cases, it absolved the journalists of responsibility, thus overturning lower court decisions. It upheld lower-court decisions in the remaining nine cases, generally also maintaining the amount of compensation awarded. The Supreme Court awarded the plaintiffs in these nine cases an average of €26,364. The highest award was €65,000. The Court itself states in the dossier: “With regards to the data presented here, it can be seen that the compensation amounts that journalists are ordered to pay generally do not exceed €30,000 and are not less than €10,000. The award to Sporting is also believed to be the highest ever awarded by the Portuguese courts in a media case. IPI research has previously noted extreme defamation claims in Portugal. Most notably, in 2011, an investment group called Ongoing Strategy Investments sued the weekly newspaper Expresso for €70 million over an allegedly defamatory series of articles. The sum included €68,900,00 in self-calculated lost earnings and €250,000 in non-pecuniary damages on behalf of four corporate employees. A first-instance court in Lisbon tossed the case out. IPI partnered with legal experts at the Univerisdad Computense de Madrid to investigate Spanish court trends in terms of awarding damages in civil defamation cases involving the media. This research analysed over 300 civil defamation cases. 144 cases, the majority of which were decided within the last five years, were selected as representative and as the subject of deeper analysis. The spectrum of damage awards within this selection ranged from €600 to €125,000. A total of seven cases resulted in damages of €100,000 or greater (although the plaintiff’s actual demand may have been much higher, up to €600,000). The average amount of compensation awarded was €24,580. Violations of the right to personality and honour that occurred through the medium of television were much more likely to incur higher compensation, including greater than €100,000. Higher compensation levels were also noted in cases in which allegations of sexual abuse or pedophilia were made against a person (compensation of between €50,000 and €60,000 was noted in such cases). In general, courts award less protection to the honour of politicians. Nevertheless, there are some striking exceptions. For instance, in 2016 a court in Madrid awarded an official with the left-wing party Podemos €20,000 after the editor of an online news site used insulting language in reference to the official. In 2010, a legal reform eliminated the so-called “benefit obtained”, a formula in Spanish law for determining the amount of non-pecuniary damage by determining the income and production costs for a television or radio programme. In some cases, the use of this formula meant that courts significantly raised the amount of non-pecuniary damage awarded. Data on the amount of civil compensation awarded in cases involving media outlets are unavailable in Italy. However, the Italian NGO Ossigeno per l’Informazione was successful in obtaining data on the amount of compensation claimed by plaintiffs in cases involving the media. In its report “Shut Up or I’ll Sue You”, the group, using data from the Italian Ministry of Justice, revealed that 3,643 civil claims were brought against journalists between 2010 and 2013. The total amount claimed in compensation was €42.5 million per year, yielding an astounding average of €50,000. Even without data on case outcomes, figures from Italy thus show the clear potential for civil defamation laws without caps on the amount of damages that can be awarded to be used as a tool of intimidation against the press.